If you have long been interested in investing in stocks only to feel intimidated by all the things out there you don’t know, then Stock Market Investing for Beginners: A Step By Step Guide to Invest in Stock with 36 Advanced Stock Investing Strategies is the book you have been waiting for. The fact of the matter is that investing in the stock market is a skill which means it can be improved just like any other, via lots and lots of practice. 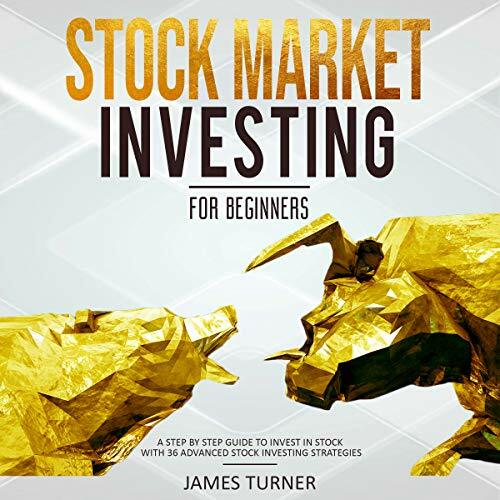 This isn’t always a straight forward process, however, which is why this book was created to teach you everything you need to know in order to ensure you start seeing a profit sooner rather than later. First, you will learn all about the mindset of the successful trader and how you can learn to think the same way. From there, you will find a wide variety of passive and active strategies to ensure that there are bound to be a few that will work for you. Finally, you will find a variety of tips for success to ensure that you can start turning a profit as quickly as possible. So, what are you waiting for? Take control of your financial future and buy this book today!